Viewers in the Scottish part of the ITV Border region will be able access their regional version of the channel on satellite from mid-March. 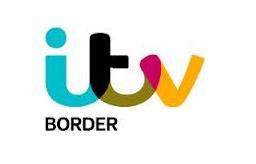 ITV Border Scotland was relaunched in January 2014, but until now has only been available on Freeview. It contains additional opt-outs from the main ITV schedule, in order to meet ITV's new licence requirements for the region. On the 16th March 2015, satellite viewers in the area will be switched from the existing Border England service to Border Scotland on channel 103. Test transmissions are already live on satellite in preparation for the change. "Sky and Freesat viewers should check that any future recordings they have scheduled after 16 March are present in their planner." Due to terrain, terrestrial TV in parts of the Border Scotland region is difficult and may only supply a limited range of Freeview channels. Satellite distribution will dramatically widen the reach of the channel. Additional programmes featured on ITV Border Scotland include Border Life and political programme Representing Border. Viewers in southern Scotland can chose to watch ITV network programming over on ITV HD or an hour later on ITV +1, both of which relay ITV Granada in the Border region. Viewers elsewhere can manually tune in Border Scotland on satellite.